Educational whiteboard videos (all) — Do I still need this medication? Is deprescribing for you? 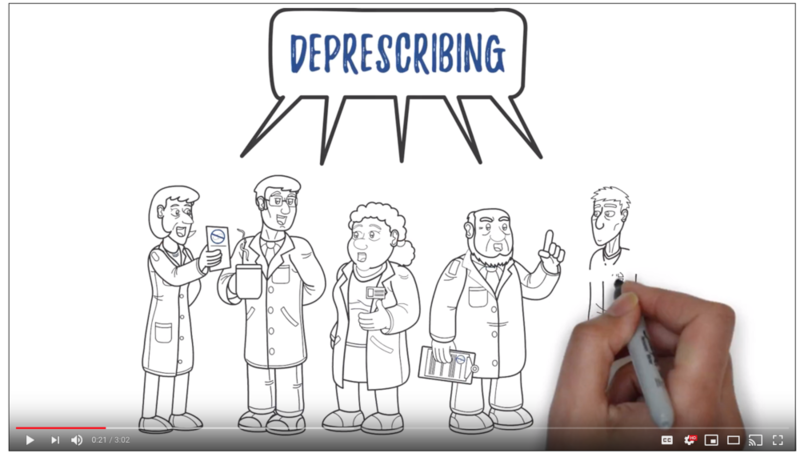 Here are four short and fun whiteboard videos that provide information about deprescribing. The first video provides an overview of deprescribing, while the others focus on sedative-hypnotics, opioids and proton pump inhibitors. Each video runs for 3 minutes and provides tips and evidence-based tools for deprescribing.